Where are my keys?!?!? Can you ring my phone? Did I leave my bag at your place? Just some of the phrases of modern life. What if your phone could help you find all these little things that you frequently misplace? 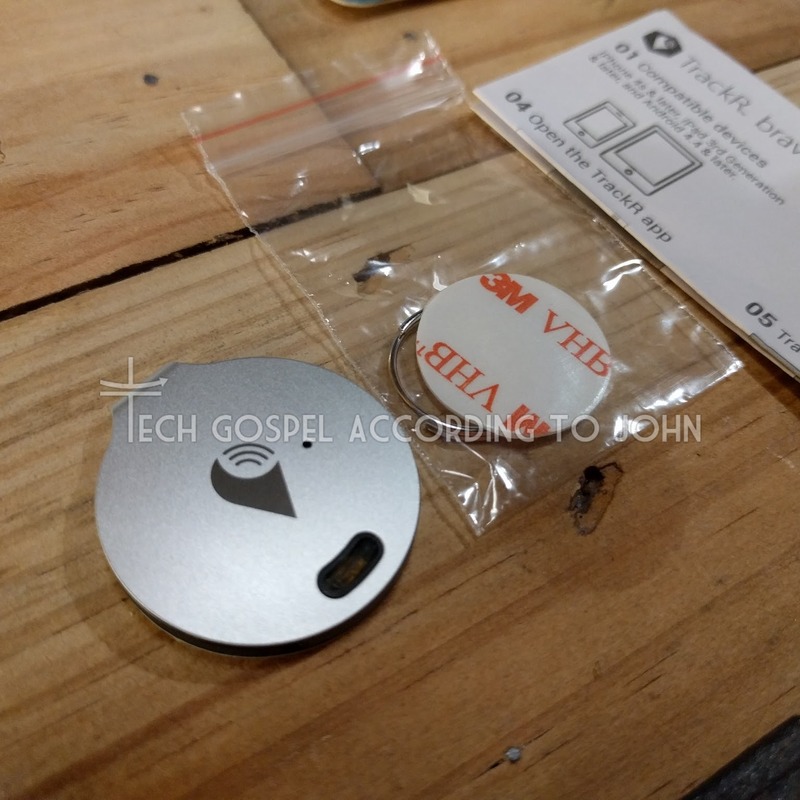 The TrackR Bravo is like those little tracing bugs shown in most spy movies. It's about the size of a quarter and runs off Bluetooth. The tag uses Bluetooth LE 4.0 which supposedly has a 100ft range but realistically I'd give it the regular 30ft range. 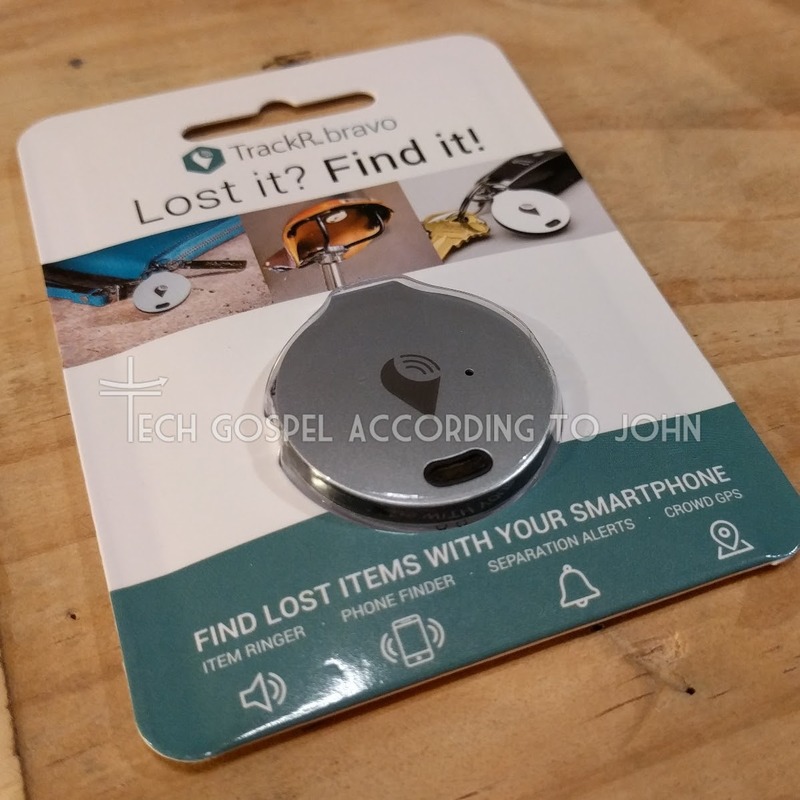 TrackR is meant to find things that are just lying around but can't be found. Like keys that have fallen between couch cushions or the remote that's under a desk. Now for the real-world evaluation: The tags work. For the most part, I'd say accuracy is down to a building/house level. So if you think you left your bag at a friend's house, TrackR will probably show the locator pin on your friend's house, but not the exact room you left it in. When you get to your friend's house and the app can actually connect to the tag (a meter will show that it's connected) you can trigger the tag to 'chirp' so you can locate it. The 'chirp' is very weak. It's not a loud alarm in any way. You could probably use it inside a library and not really disturb anyone. The tags are not meant to be a primary device to remember where everything is, but more like an assistant that can kinda-sorta remember where you left your item last. TrackR gives a general map location of where it last logged your tags. Sometimes, it doesn't log tags for a few hours, but for the most part, it keeps a decent log of where my items are. As far as TrackR says, their app can keep track of up to 10 tags. The app works like a relay beacon, relaying information for ALL TrackR tags that it can detect. No one else can see your tags, but everyone with the app helps your app locate your tags. So the more people use the app (they don't need to have a tag, just install the app) the easier it will be to find your items. Battery life is about 5-6 months, and that shortens to about 3-4 months during winter when the tag is exposed to colder temperatures. TrackR Bravo uses CR2016 coin batteries. Cheap enough to get from TrackR directly with their battery program or in bulk. The tags are NOT environmentally sealed so do not get them wet, or leave them outdoors. TrackR does sell a silicone sleeve to help protect against rain but it doesn't make the tags waterproof. Are they worth it? At the single-piece retail price of $30, I would hesitantly say yes, but it is on the pricey side. But they do have frequent discounts for several tags that can bring the price down to makes it a lot easier to justify the shortcomings of the product. The more people use the app, the better the product performs. Use one on your pet's collar for a cheap locator tag. Place one on your car keys. Hide one inside your car and have a cheap lo-jack or parking reminder. Place one inside your luggage and you'll be able to tell when it's about to come out of the carousel. And if you're on a smaller plane, you can even tell if your luggage is in the cargo hold. At about $12 per tag at their Buy 4 Get 6 Free promo, it's well worth it and a neat gift to give friends.